Northern Arizona University remembers the life and work of Martin Luther King Jr. with its annual day of celebration and service on Monday, Jan. 21. 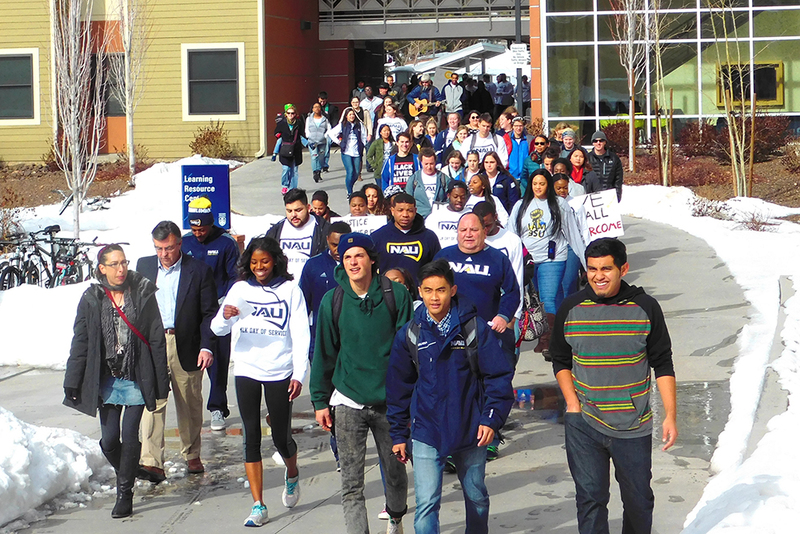 Though the university is officially closed for the holiday, the campus will be busy with a number of activities for Lumberjacks and the local community that honor Martin Luther King Jr.’s vision of equality and unity. The day begins with the President’s MLK Community Breakfast featuring guest speaker Javon Johnson, UNLV professor and award-winning spoken word artist, followed by a march and community fair. Off-campus volunteer opportunities are available on Monday and throughout the month. Family Food Center: 10 a.m.-noon, 1903 N. 2nd St.